2 What Is Bitcoin Gold? 3 Why Are ASICs A Real Problem? 3.1 What Is Hash Rate? 4 Okay, What Do I Need to Start? Getting into cryptocurrency mining can be hard. There’s a lot of hardware to buy, things to learn, factors to consider. While the same can be true for Bitcoin Gold, the developers aim to make it easier. How? By cutting off ASIC computers and making Bitcoin Gold mining available to everyone. Bitcoin Gold is a hard fork of the most popular and oldest cryptocurrency in the world, the bitcoin. Developers made it with a single guiding principle. They developed it to make it impossible to mine Bitcoin Gold with ASIC computers. What are ASIC computers? The abbreviation means Application Specific Integrated Circuit. In the context of this article, it’s a machine, which was tailor-made to mine Bitcoin Gold. Thankfully, machines like this don’t exist for this cryptocurrency. Aside from the mining options, Bitcoin Gold is identical to its forefather. It follows the same guidelines. It has similar transfer processing speeds. You can use it for the same purposes. Why Are ASICs A Real Problem? Bitcoin Gold forked away from the Bitcoin blockchain to prevent ASIC mining. These mining machines are so much more efficient at mining that GPU and CPU miners have no chance. Your mining success is determined by your machine’s hashrate. Hashrate is the metric to describe how fast a machine is at mining a cryptocurrency. The best consumer-grade CPUs and GPUs simple can’t compete against ASICs. Why is this a problem? Cryptocurrency purists believe that mining should be something everyone can do. You should be able to do it with only a laptop in a dorm room. ASICs make it impossible. Why is it impossible? Simple. Miners earn cryptocurrencies for solving hash functions first. This encrypts the blockchain, securing it. When you succeed, you get the right to publish the next block in the chain and get compensation in the form of Bitcoin Gold. When only the first to solve the problem gets awarded, people always find ways to stack the deck in their favor. ASICs are an insurmountable obstacle for anyone running a consumer grade machine. It’s how many hashing operations your system can complete per second. ASIC computers are miles ahead of the other two methods, GPU and CPU mining. So ahead of that it’s not even funny. Simple. If you are a miner, you have no chance to make a profit without an ASIC. Unless you start Bitcoin Gold mining. Its founding principle is NO ASICs. When it comes to non-ASIC mining methods, GPU mining is ahead of every other option. This is why GPU prices have sky-rocketed in recent years. Okay, What Do I Need to Start? Alright, are you ready to learn how to mine Bitcoin Gold with your home computer? This is what you need to know to start your journey. The only method for effective Bitcoin Gold mining is via the GPU (video card). It’s possible to mine Bitcoin Gold using your computer’s processor. It’s not as effective, though. Think of painting a fence. Yes, you can paint a fence with a toothbrush (CPU). But why would you do that when you can use a proper painting brush (GPU)? Okay, how to mine Bitcoin Gold? What hardware do you need to buy? That depends. If you have recently upgraded your system and want to try mining, to see what’s it’s all about, you may be good to go. A decent CPU, a GTX 10xx video card, some RAM, and a good SSD? You’re good to start. Don’t expect to make bank or retire from your day job, though. Bitcoin Gold mining requires a much more powerful system to make serious money. Remember, you only get paid if your machine solves the hash function first when solo mining. There are ways to get around that by joining a Bitcoin Gold mining pool, but we will talk about that a bit later. For now, you are only going to see what Bitcoin Gold mining on a consumer-grade computer is like. If you earn some Bitcoin Gold in the process, great! Once you know your way around the process, you can start working towards a more mining-centric PC. What does that involve? You need to get several powerful GPUs and find a way to cool the entire system. If you save on cooling, your $900-GPUs will burn out, costing you much more in the end. Six video cards is a good goal to work with. You should also make sure your PSU (Power Supply Unit) can support all that gear. Don’t skimp on it. Cheap ones won’t be efficient in converting power. Your system will run hotter. You will need more electricity to power the system, cutting into your profits. A good Motherboard is also essential. It doesn’t matter that you broke your piggy bank for six NVIDIA RTX 2080 Ti cards if your Motherboard can only support two. Related to that, you should either find a mining-focused case or make one yourself. After all, consumer-grade PC cases aren’t made to hold six graphics cards. Even if there are enough PCIE slots for six GPUs, it doesn’t mean that the Motherboard will run them all well. The best thing to do is research the hell out of the specific board you want before buying it. Also, you need an Operating System. Never forget the Operating System. While both Linux and Windows work, we would start with Windows because it’s easier to use and set up. Recap: you can start to mine Bitcoin Gold on your gaming PC, but you will need a GPU mining rig to get serious. Six high-end video cards. A good Hard Drive. Efficient PSU with enough power to supply your video cards. A Motherboard that can run the whole thing. Don’t save on a great cooling solution. It will pay off in the end. Okay, you are part of the way there to knowing how to mine Bitcoin Gold. Read on to find out more. To start Bitcoin Gold mining, you will need three pieces of software, possibly a fourth too. First, you should open an account in a cryptocurrency exchange you trust. After you mine Bitcoin Gold, you will need an exchange to turn it into fiat currency (or real money for us plebs). Next, you will need a cryptocurrency wallet account to store your Bitcoin Gold. After all, what kind of Bitcoin Gold miner would you be if the currency has nowhere to go? Finally, you will need specialized mining software. This software connects your computer to the blockchain. It also puts it to work, solving hash functions to earn you that Bitcoin Gold. When you finally turn it on, you can call yourself a Bitcoin Gold miner. Just don’t get scared if your computer starts making jetplane sounds. The fourth piece of software you may need is a mining pool client if you elect to go with that option. 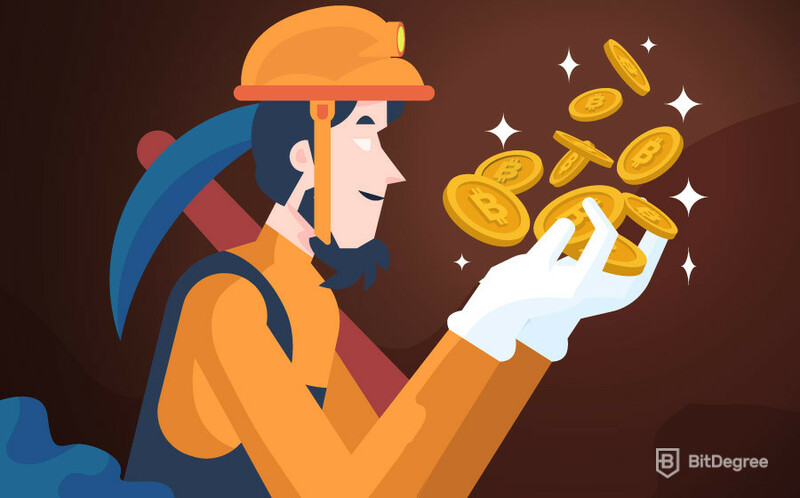 Why would you want to join a Bitcoin Gold mining pool? Lucky you, that’s what the next section is all about! 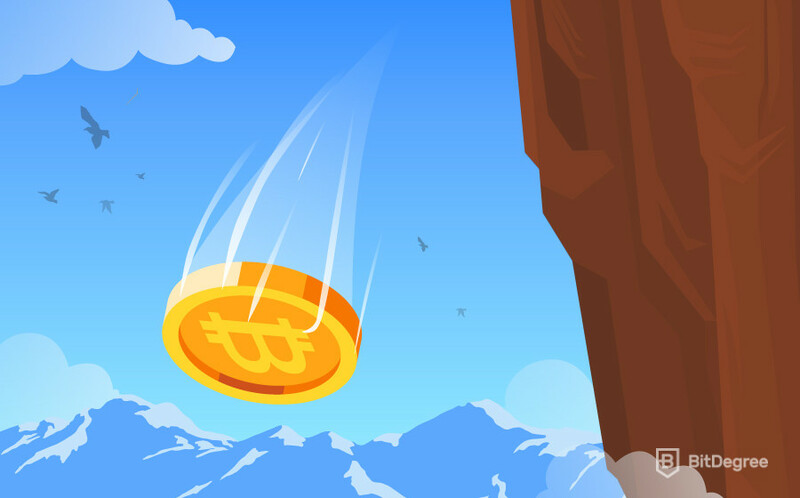 You may want to be a solo Bitcoin Gold miner, taking on all the trouble and getting the full reward. This might not be a very good idea. You see, you only get something if your machine is the first in the world to solve the hash function, as we have noted before. With a single gaming PC or even a 6-GPU mining rig, you don’t stand much of a chance. To really make a consistent return, you would need to build a whole Bitcoin Gold mining farm. It would have multiple 6-GPU rigs, take a fortune in electricity costs and be a constant headache to keep running. The room you keep the whole Bitcoin Gold mining operation would also be a furnace. Even if you built all that, there are people with huge mining farms and much more computing power. You compete against them when you start Bitcoin Gold mining. You have to have amazing luck to stand a chance. There is a solution, though. Miners all over the world figured out a way to pool their resources into a Bitcoin Gold mining pool. This is how you compete with the big mining farms. When you’re part of a mining pool, you don’t exactly mine Bitcoin Gold yourself. You allow the pool to use your system’s processing power to mine it instead. Let’s say there are 200 people interested in Bitcoin Gold mining. They all have machines with 500 h/s or 500 hashrate. Can they compete against everyone else mining Bitcoin Gold by themselves? Well, no. Combined, though, they have a hashrate of 100,000 h/s or 100 Kh/s. Now they stand a much better chance to get something done when competing against the rest of the world. That begs the question, how are the Bitcoin Gold the pool wins awarded? The system is different in every mining pool. After all, they are all independent of each other. It’s popular to split profits according to the hashrate a specific person contributes, though. Bitcoin Gold mining in a pool is a much more stable way to earn Bitcoin Gold. As long as the pool wins often enough and the Bitcoin Gold price is worth it, you will make money. It will be a trickle instead of a flood but better a sparrow in the hand than a pigeon on the roof, right? What if you don’t want to join a mining pool? What if you don’t want to buy your own machine, maintain it, and pay higher electricity bills? There is another way to call yourself a Bitcoin Gold miner, but we will talk about it in the next section. The idea behind cloud mining is like cloud gaming. Let’s say you have a bad computer but want to mine Bitcoin Gold. Or play the newest Assassin’s Creed game. Cloud services can help you in both cases. In gaming, you pay a monthly subscription to use a powerful computer somewhere in the world. You see what is happening on that computer and get to make your moves. All you need is a great Internet connection. Cloud mining is similar. You pay a fee, say $500. For your money, you get to use a specified amount of hashrate 24/7 to mine with for two years. The company which runs the service will maintain the hardware. It will ensure that you get your hashrate. You will have to pay daily to chip in on electricity and maintenance costs, though. The sum you pay will be small, no need to get worried about that. It sounds great, right? All the benefits of Bitcoin Gold mining with none of the trouble. It’s too good to be true sometimes. You see, the cloud mining market is full of scammers. When choosing a service, you need to be a skeptic. You also have to consider how long it will take for you to recoup the initial investment. It could take a long time or the price of Bitcoin Gold could shoot up tomorrow and you would become rich in a week. You also have to ask yourself another question. These cloud mining services have mind-blowing hash rates to throw around. Why then do they rent it to others instead of mining cryptocurrencies themselves? Taking the full profits for yourself must be better, right? It’s possible that many cloud mining services are Ponzi schemes. Minimized (because users cover them) utility bills and new subscribers keep them running. When the money from incoming people can’t cover the expenses, the service closes down. Did you pay $500 for 2 years of hashrate yesterday? Too bad. It may not be the case at all but it pays to be careful in this and all other cases related to cryptocurrency. Where there’s money to be made, there are always people looking to take advantage. Bitcoin Gold mining can be a great source of (mostly) passive income. Hopefully, you now know what do you need in order to learn how to mine Bitcoin Gold. Top 10 Cryptocurrencies 2019: What’s The Most Popular Cryptocurrency Today? 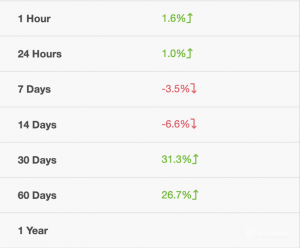 Best Bitcoin Exchange: What’s the Best Bitcoin Trading Platform?